I can get irked. Some days I’m down right irritable. My last 366 picture of the month is one of those irksome things. Why do I have 5 purple socks without a match? How does that happen? 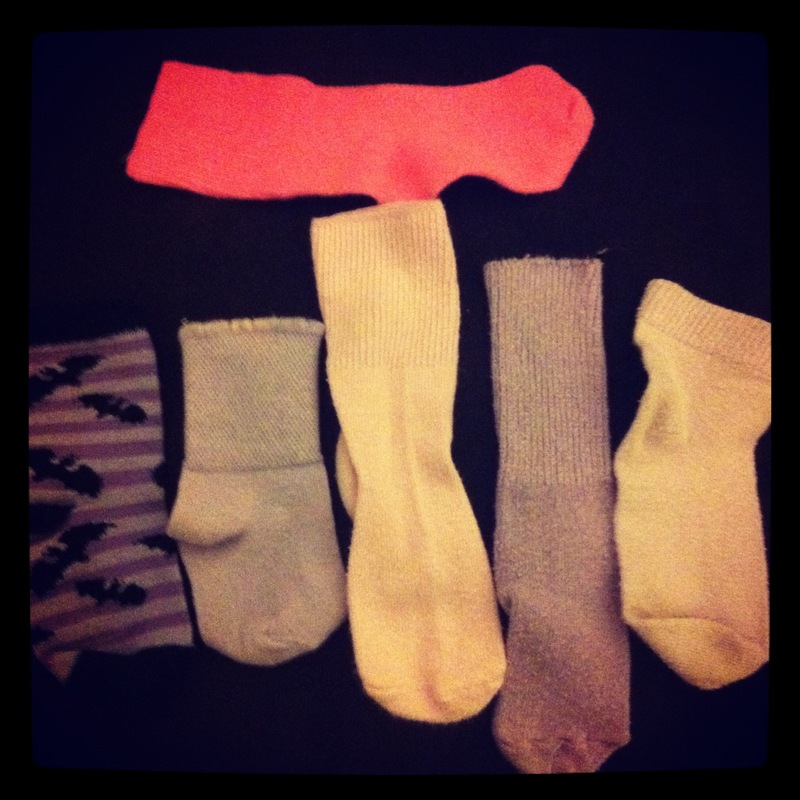 It’s like a purple sock singles mingle. I threw in a lonely pink sock to show that we don’t have any bias in this house. Do I throw them out? What if the lost partner shows up? And who knew there were so many shades of lilac? Different enough that I can’t fake it and mix them up. Thanks Mr. UPS guy! 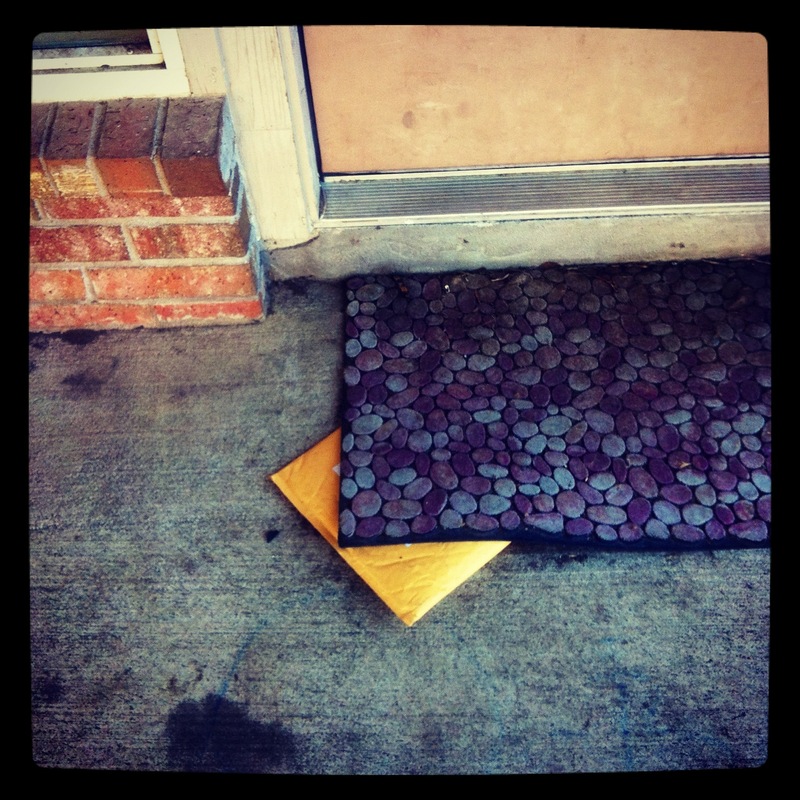 Now no one would suspect we had a package delivery! I actually find this slightly more amusing than irksome. My eldest fell into deep like for those purple boots, one would think they might be on sale considering the giant 60% sign above them. Nope, the item on sale is a couple sections over, the slippers, and not even all the slippers were on sale. When I asked the salesperson what exactly was on sale on this wall, he didn’t know. He had to scan several items to figure it out. I feel like this is misleading. We left without the boots, but she found an acceptable substitute on sale, for reals, at Target. Look! 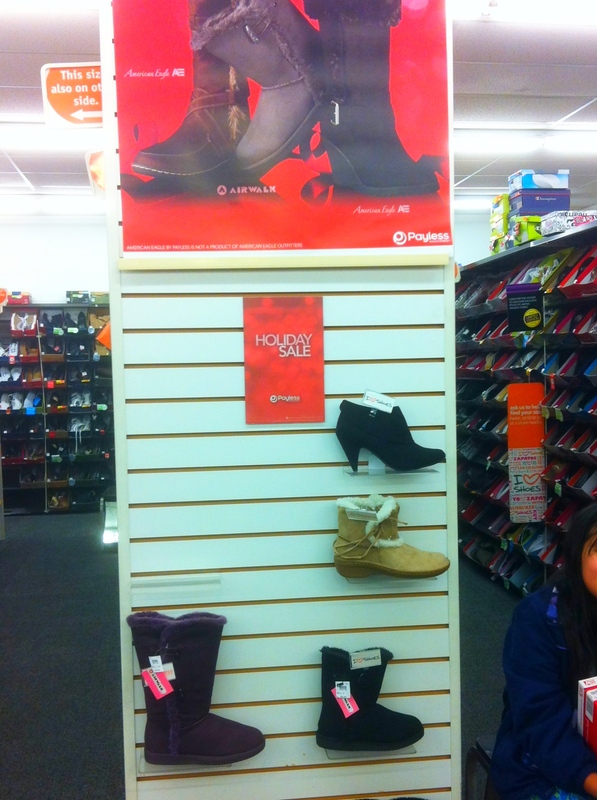 Those same purple boots on another shelf marked Sale!, but without any actual sales on that shelf. 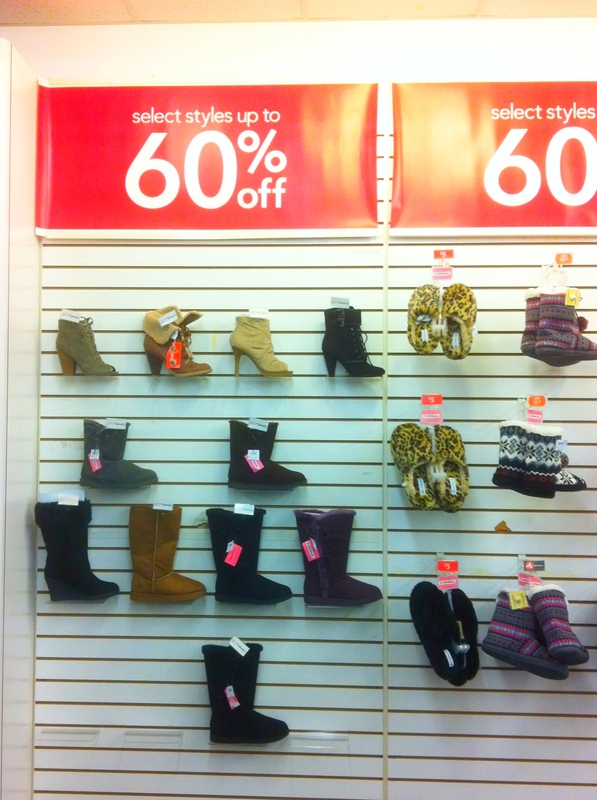 None of those boots were on sale, boo. I have accomplished one month of my Project 366 and it’s turning out to be harder than I thought it would be. I decided to do using only my iPhone and only with the Instagram app so I would have to push myself to be more creative, but I’m starting to feel a little stifled. I have camera+ on my phone as well and I may need to include it in order to try and keep myself interested. I did know this photo project would be somewhat difficult, but I’m also proud of the fact that I have not missed a day so far. We have some vacations and milestones to look forward to in this coming year and I am excited to document them in this way. This entry was posted in Project 366 and tagged Instagram, iphone, irksome, photograph, photography, project 366, purple, sales, shoes, shopping, socks, ups. Bookmark the permalink.